Deputy Peter Burke speaking at the announcement of two hundred new jobs which are to be created in Longford town at the Avery Dennison Corporation (Finesse Medical). Two hundred new jobs are to be created in Longford town at the Avery Dennison Corporation (Finesse Medical). The company, based on the Ballinalee Road in the town, this morning announced substantial expansion plans. 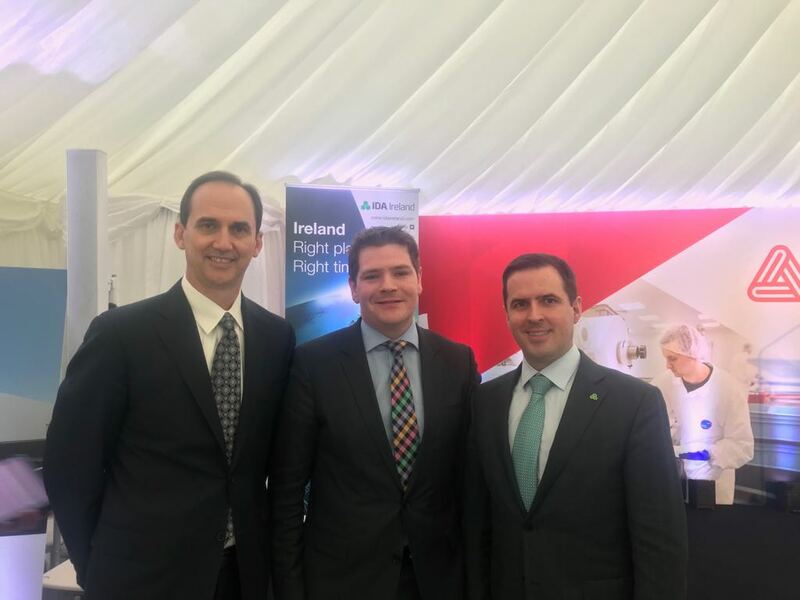 “Having seen first-hand the world class facilities here at Avery Dennison, I am delighted that the company has selected its Longford arm to expand. The company is linked in with the IDA and I am happy that the government agency has further supported their growth and capacity in Longford town. These are well paid, highly specialized posts which will be recruited for locally and which add to the recent jobs boost Longford town has enjoyed. “Project construction is set to begin this September and be completed by Summer 2019. A new clean room and further manufacturing capacity will be established, with an extra 6,000 square facility being invested in by the company to house new employees and increased capability. "Avery Dennison expects the capacity expansion to increase employment at the Longford operations over a four-year period. This model of expansion shows that both private companies and the Government working together are committed to increasing job creation in rural and regional Ireland, with companies happy with the quality of employees and the services available to them here in the Midlands. "Longford and its surrounds is a great place for companies to be based, with an educated work force, a high quality of life on offer for employees and their families and with recent significant investment in the form of infrastructure and rural amenities. We need to show this off and market Longford aggressively. We must continue to ensure that we have the right conditions and supports in place to encourage job creation right across the country. “Avery Dennison Industrial and Healthcare Materials is deeply committed to its medical businesses, to the continued development of its outstanding medical manufacturing capabilities, and to the vibrant professional community here at Longford that has generated this remarkable success story,” said Michael Johansen, vice president and general manager of Avery Dennison’s Industrial and Healthcare Materials business.